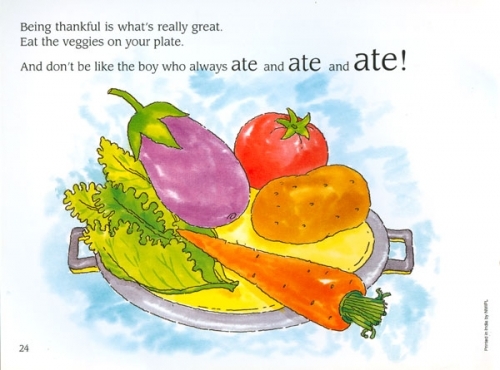 This book teaches children about being thankful to Allah for what they have and sharing with others, through a funny story about a boy who loves to eat. 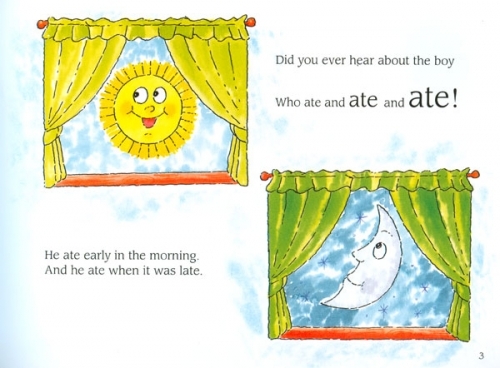 Wherever in the world the boy goes, he eats something different. 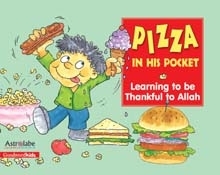 Whether its gyros made in Cairo or bon bons on a beach in the Bahamas, this book will help your kids learn and laugh. 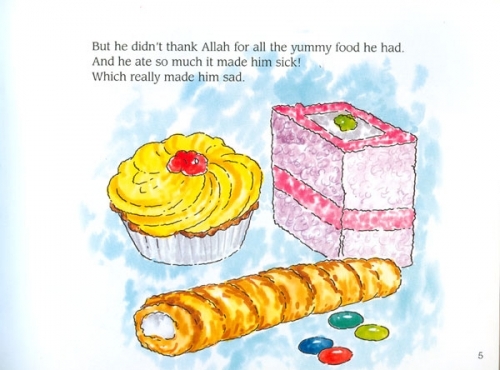 The book also teaches children Islamic values like sharing, loving your family and being brave through playful, entertaining stories that often rhyme and are great to read out loud.